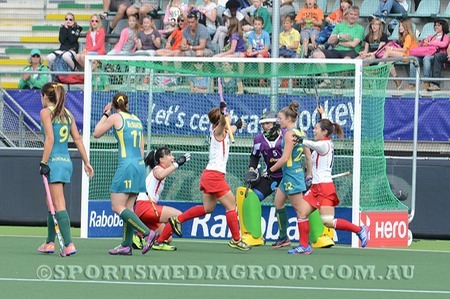 Japan scored the opening goal in their round match against the Australian women. The goal came against the run of play to the delight of the japanes ladies. The Australian's were haowever too strong over the 70 minutes and went on to clinch the match and gain valuable points.